But why are we starting to fall in love with this tropical print so much? For starters it's colourful, fun and fresh and has been seen on various catwalk shows including Dolce and Gabbana. 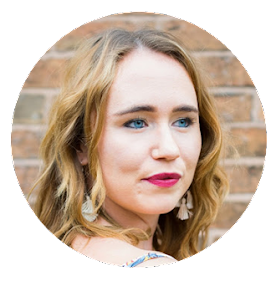 So before I obsess any further over lemons let me show you how I have styled my latest edition to Liz's every growing wardrobe, a lemon print blouse from TK Maxx for just £10! I paired the vintage looking blouse with a midi denim skirt from Forever 21, lace up espadrilles and a straw bag from H&M, which doesn't have much space but hey its cute! I'm looking forward to rocking this look on weekends! What I love most about the blouse is the collar detailing and the fact the print is on a white background so it's not in your face meaning anyone can pull it off! So if you're feeling less brave about pulling off the summer trend especially if your not a fan of yellow (it can be a difficult colour to pull off) then just throw on some lemon accessories to jazz up your outfit. If you're looking for prints from high street brands there are plenty of top deals on Dorothy Perkins clothing and also on Groupon* where you will find discount codes to help you grab some summer bargains. I have also put together some lemon print finds below. 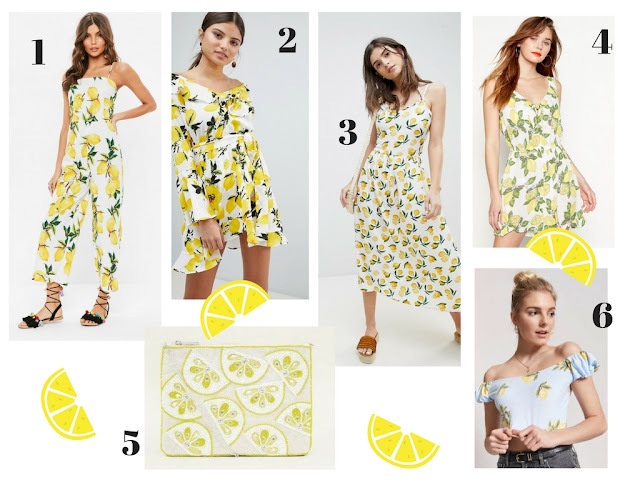 Are you a fan of lemon prints? Do you love my look?